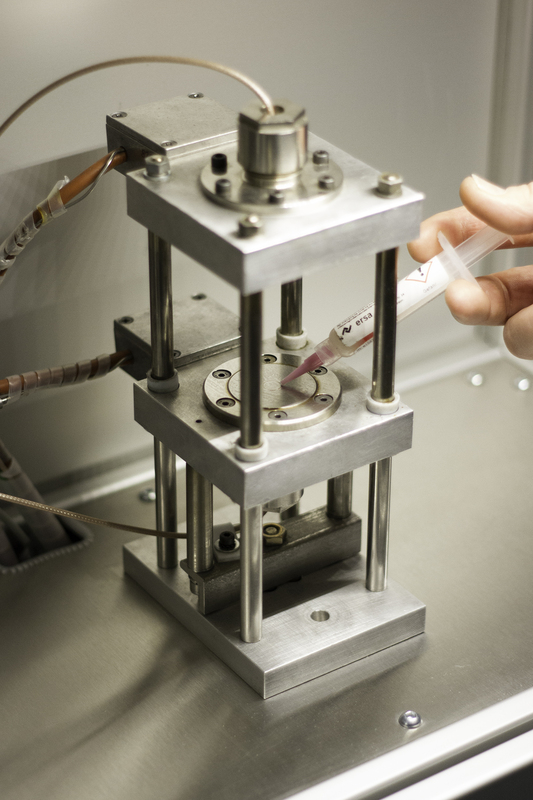 Grasse Zur Composite Testing improves and modifies test fixtures for all established testing methods, develops new devices and gets them standardized. According to the wishes of our clients, we furthermore generate individual testing systems for investigating specific requirements. In collaboration with you as our customer we reach our goal of producing accurate and easy to handle testing devices. For determination of static material values we offer easy to handle and precisely adjustable modifications of well-known testing devices as well as designs we developed according to needs we noticed during use. We also gladly design very special devices for our customers for answering individual questions. Our devices for dynamic material testings, too, are optimized for easier handling and more accurate reproducability of results. Our own long-time experience with using established testing devices gave us the desire to improve those devices. In addition, we wanted the handling of our devices to be quick and fault resistant trainable to new personnel. We gladly develop novel testing devices to cover your individual requests.